company also provides party DJs and event catering. Planning a party can seem like a nightmare. 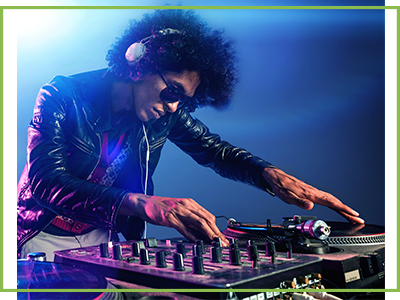 We Bring the Party makes it easy on you, with our convenient party rentals and DJ services. Are you tired of serving the same old fare at all of your special events? 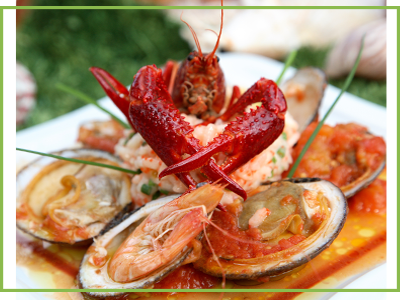 If so, try spicing up your next event with our Cajun catering service. We Bring The Party has been in business for 10 years now. Our company offers a range of event services to meet your particular needs, including catering, party rentals, and DJ services. We put our 15 years of experience to work for you on every job, and we always strive to ensure that your party is fun and memorable for you and your guests. If you're looking to save a little money, we offer competitively priced services and convenient package deals. Prices start at $125 for our outdoor movie screen and drink machine, and we also offer deals for group rentals that start at $75. No matter what your party needs are, We Bring The Party is the perfect choice for your next event.